Limerick teenager Diana Mirza has become Ireland’s first chess world champion. The 16-year-old emerged victorious in the World Schools Under-17 Chess Championship in Romania after nine rounds in 10 days. 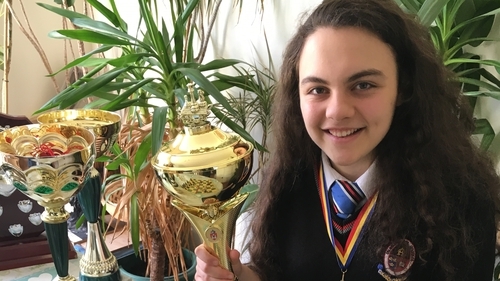 Mirza, whose parents are both Romanian, represented Ireland in Baku last year as part of the women's Fide Chess Olympiad team, and has collected silverware all along her budding career. President Higgins has led the tributes to her remarkable achievements and speaking on RTÉ's Morning Ireland programme, Mirza revealed that her father Gabrile, a chess teacher, has been a huge influence on her career. "From a young age after primary school he would bring me to the school where he taught and I picked it up from there," she said. "When I was 10, I beat him and he gave me €100." "I got better and better and he brought me to competitions. "When I was young, to motivate me, he would tell me that if I beat him I would get €100, and if I drew I would get €50. The tournament is not a knockout format – Mirza drew her second game and lost her third – but rather based on the competitor who accumulates the most amount of points.